It’s a pleasant thing to shop in Myanmar, where bargain is acceptable and, in some regions, bartering is still in fashion. This mysterious country offers a peculiar peek at Southeast Asia, not as Thailand or Vietnam do, but in a more ancient way that is rarely found anywhere else. Visitors find it irresistible doing shopping when cambering around Myanmar’s attractions, where unique and beautiful items are touted all the way.  Indochina Odyssey Tours suggests practical ideas regarding what to shop in Myanmar and useful tips for those want to make a nice deal. It’s a popular purchase that can be made into the forms of cups, bowls and vases. Bagan is a good place to shop beautiful lacquerware with great variation and price. Just pay attention to the quality of the items you are going to buy for there might be fraudulent commodities. Genuine lacquerware is engraved with natural colors of sand, stone and flowers. In contrast, fake ones are painted. Don’t be surprised if you find low-priced jade, rubies and other gemstones in Myanmar, for the country itself is a great miner of precious stones. The finest rubies are mostly available in Yangon, where only reputable shops are worth your money. Be aware of fake stones sold by street vendors. Longyi is a sheet of traditional cloth worn by both genders everywhere you can see in Myanmar. If you think it’s awkward for your male families or friends to accept this special souvenir, give it to your female friends instead, they’ll definitely love it. 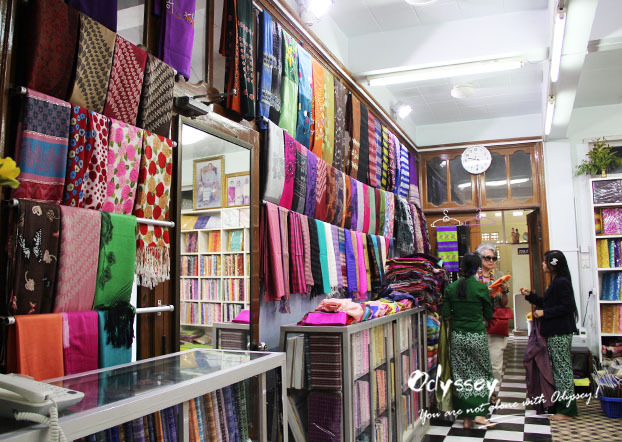 Silk shops around the country have fine materials to make longyi, the pattern of which is at your choice and the price depends on your ability to haggle. Folk dolls, coconut masks, leather bags, wood carvings and thing alike are popular souvenirs that Myanmar is proud of. The traditional skill makes these folk works remarkable piece to buy. It’s also a major reason to support the tradition and low-income families. The delicate art is originated in Mandalay in the 18th century. Kalaga is another name for this most sought-after tapestry involving gold and silver thread and tales from the Buddhist scriptures depicted. You can use it to decorate the interior of your house or give it as a decent present for families or friends. You may notice that Buddha images or stupas in Myanmar are gilded with gold leaves, which are also widely sold at tourist cities. Mandalay’s lacquerware shops have the biggest supply for genuine gold leaves that are thin squares packaged in sets of 5 to 10 leaves. 2. Be mindful that authority controlling trade standard doesn’t exist in Myanmar, which means a thorough check of the goods you buy is necessary to apply. 3. The transaction is made when you agree the price. 4. Nyaung U Market in Bagan is a bustling center for visitors to buy things ranging from daily fresh goods to custom longyi. It’s an ideal place to mingle with the locals and learn their lifestyle! 5. The floating village in Inle Lake has unique souvenirs that are quite ‘Myanmar’. 6. In Yangon, the well-known Bogyoke Aung San Market is where shopping can be a fun thing to do. Great bargains can be made here. 7. Official certificate of the jewel is needed when passing the customs. 8. Shops inside the hotels may store interesting articles, have a go. 9. Most Myanmar markets are open on Sundays and closed on Mondays. During Buddhist Lent Festival, which normally includes August October, all Myanmar markets are closed on full moon days. 10. If you need more specific ideas about shopping in Myanmar, your private tour guide would love to share his mind. 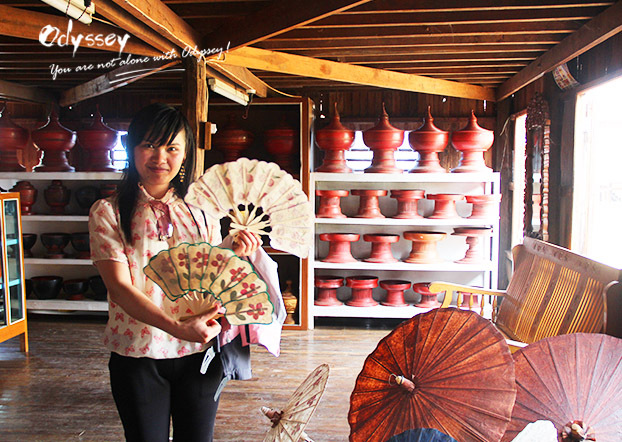 You may enjoy a pleasant shopping experience in Myanmar with this sample itinerary given below! Surely, you can also directly contact us for a custom Indochina tour based on your own interest.